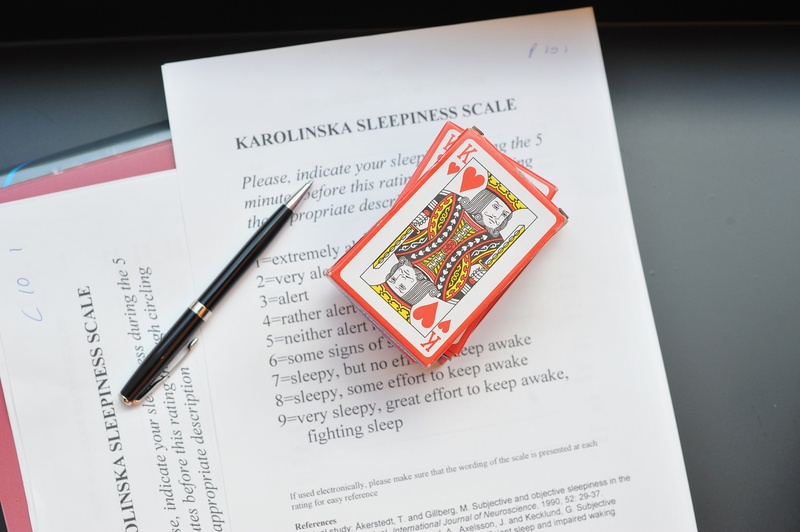 In June 2018, during the week of the longest day of the year, an experiment was performed to test and analyse the effects of light on the circadian rhythms of two volunteers. 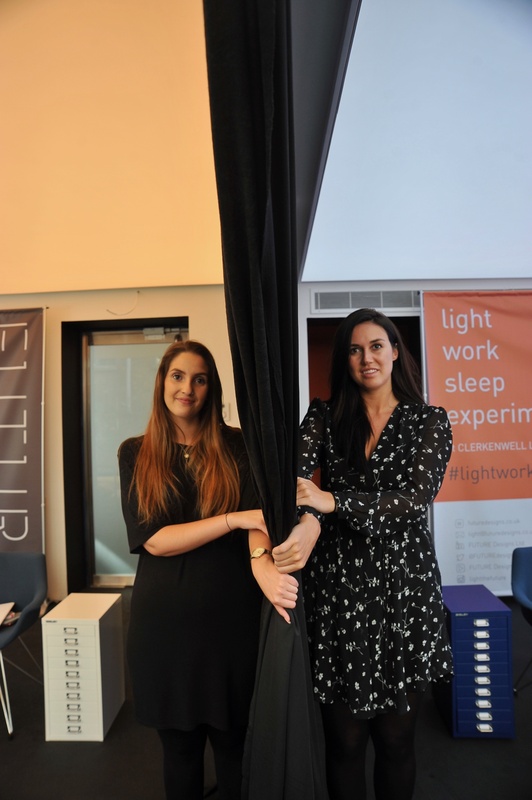 Curated by lighting experts FUTURE Designs, the experiment – called Light Work Sleep - was led by consultant sleep expert, Dr Neil Stanley, and took place at FUTURE Designs new technology hub in Clerkenwell. 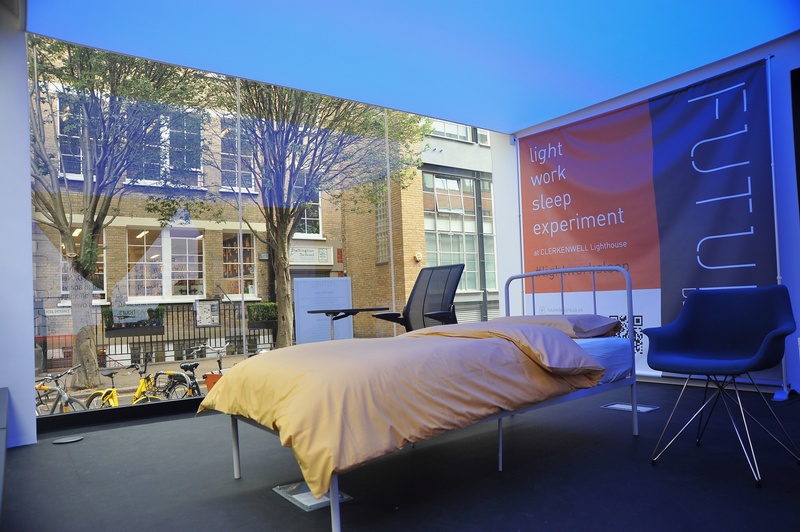 The exercise aimed to analyse and record how two different areas lit to the extremes of the Kelvin band (warm light versus cool light) affected human wake and sleep functions over a 24 hour period; it hoped to reveal the effects of white lighting on humans, and whether or not ‘human centric’ lighting affects our body’s natural rhythms. After all, previous studies have shown that light has a powerful non-visual effect on our sleep and mood. Two volunteers of similar age, height and weight worked and slept under the two contrasting lighting tones. FUTURE Design’s technology hub was split into two street-facing spaces; one was lit under 6000 Kelvin cool blue light, and the other under 2700 Kelvin warm yellow light. Both areas were lit for the full 24 hours and had identical luminance levels. Passersby outside the technology hub were also invited to watch the experiment through the two spaces’ double height windows. Throughout their simulated working day and the 24 hour experiment, the two volunteers had their memory, reaction time and vigilance regularly measured by Dr Neil Stanley; they were also questioned on their mood and their alertness throughout the 24 hour period. In an effort to evaluate the lighting’s effect on the volunteers, their surroundings were kept as identical as possible – they had structured eating, bed and wake up times, had limited caffeine, and had their exposure to blue screen-light controlled. Both volunteers were asked to complete a total of 20 tasks several times a day throughout the 24 hour experiment, which provided the data that explored the different ways lighting affects the human body. A report in the form of a white paper was drawn up following the experiment, which revealed some interesting results. Heavily involved in the experiment, Dr Neil Stanley, the sleep consultant for the FUTURE Designs sums up the 24 hour test; he says, “While tuneable white light may have the ability to modulate alertness and performance, it is only one of many factors that affect our everyday life. The relative contribution of the effect of light on everyday alertness and performance needs to be elucidated”.